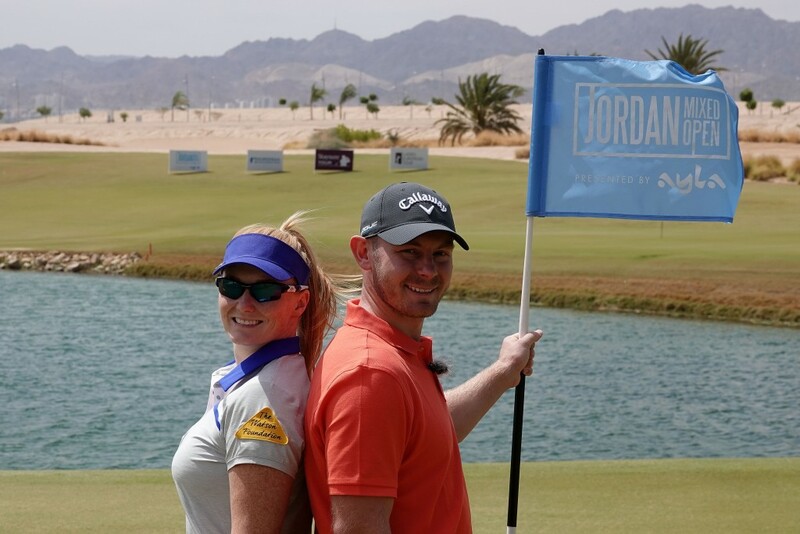 MORE than a trophy is on the line for Scott Henry and his wife Kylie this week with the married couple also playing for bragging rights in the inaugural staging of the Jordan Mixed Open. Scott said: “In terms of our finances, if we found ourselves coming down the stretch battling it out for the win that would be ideal – although it might not do much for the relationship. The winner of the 2012 Kazakhstan Open on the Challenge Tour added: “We are both very competitive when we play each other and I probably do win most of the time. While Kylie, who is a two-time winner on the Ladies European Tour, admits there will be some rivalry, she does confess she’ll be transparent in her approach. And she stressed they will both return to married life quickly once each day’s play is over. Kylie said: “We won’t hide anything from each other in terms of strategy on how to play the course. “It’s great to have such big prize money for the girls and for the Challenge Tour guys as well,” said Scott. The 54-hole tournament will start on Thursday, at 7.30am local time – follow @Challenge_Tour, @StaysureTour and @LETGolf on Twitter for live updates from Jordan.